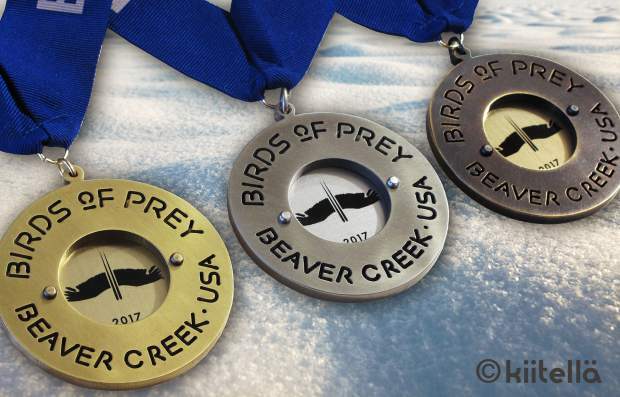 The three fastest men in each of the three disciplines at Birds of Prey will receive one of Lisa Issenberg's one-of-a-kind medals. You won’t find participation trophies at the Birds of Prey World Cup races at Beaver Creek. For the three fastest men in three disciplines, a custom, hand-made medal awaits at the podium — made by Lisa Issenberg, of Telluride. In previous years, before Issenberg was hired to make the medals, the awards weren’t anything special and weren’t even handmade, says Vail Valley Foundation’s Jen Mason. “It just wasn’t the same,” Mason said of the much smaller, and lighter, medals. “It’s a big upgrade from what they were. They really are beautiful. The medal itself makes it feel like they won something. It’s a World Cup ski race, so it should be. “That first year, the racers noticed,” Mason added. Growing up on the East Coast, Issenberg has been skiing since childhood. “I got good on ice and then moved to powder at the age of 21,” she said about her move to Colorado. Since college, Issenberg has been working with medals since 1991. In 2012, she decided to focus solely on awards and recognition, launching her own business, Kiitella — which in Finnish means to thank, applaud or praise. And while she can’t be at Beaver Creek in person to see her medals draped around the winners necks, she is always excited to see her work on the podiums. The medals weigh in at just under half a pound with a 3-inch diameter. “It’s quite a process from the jet cutting of the plate to finishing them in the steel shop and polishing them and then attaching the center plate,” Issenberg said. During the World Championships in 2015, Issenberg collaborated with Italian artist Carlo Trost for the awards. Trost created colored bibs out of resin, and Issenberg went in afterwards to add the plaque with the information. Tina Maze, Anna Fenninger and Lindsey Vonn took to the super-G podium in 2015 raising above their heads the bib trophies. Issenberg’s made awards shaped like axes, skis and other unique trophies over the years. Entertainment & Outdoors editor Ross Leonhart can be reached at 970-748-2984 and rleonhart@vaildaily.com. 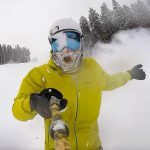 Follow him on Instagram @colorado_livin_on_the_hill.